WAIST HIGH: MTV 30th Anniversary Celebrations Begin This Weekend. 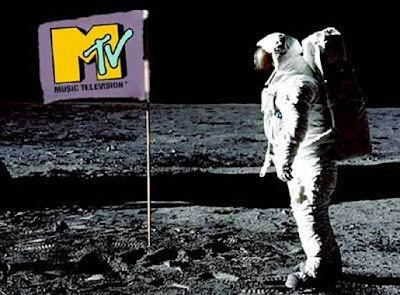 MTV 30th Anniversary Celebrations Begin This Weekend. Starting Saturday at 6 a.m., VH1 Classic will be airing “MTV30 On VH1 Classic,” a three day tribute to MTV’s 30th anniversary. "VH1 Classic viewers grew up with MTV, turning the 'I Want My MTV' slogan into a battle cry for a generation," said Tom Calderone, President of VH1 and VH1 Classic. "That generation has grown up to become viewers of VH1 Classic, which is the perfect place to relive many of MTV's iconic moments that helped shaped music and pop culture around the world." The "MTV30 On VH1 Classic" marathon will feature best-of moments from Live Aid, MTV News, the VMAs, The MTV Movie Awards, and many enduring segments from the early years with the original MTV VJ’s. Classic clips from YO! MTV Raps, Remote Control, and Headbangers Ball will be combined with original MTV contests and promos and Sunday night at midnight, the original first hour of MTV’s debut will air. "If you’re eager for more content, VH1 Classic will continue the party with archive playlists, interviews, and much, much more." Monday at 7 a.m. (ET) SiriusXm's '80s on 8 will start airing the five hour VJ 30th Anniversary Special. "Rediscover the launch of MTV with interviews from original VJs Nina Blackwood, Mark Goodman, Alan Hunter, and Martha Quinn." The show will be re-broadcast at 1 a.m. and 7 p.m.
Also on Monday you can hear original VJ Nina Blackwood's exclusive interviews about the anniversary on radio stations that air her "Absolutely80s" and "New Wave Nation" shows.